Get on the fast track to bass guitar mastery. The FastTrack Bass Method 1 DVD provides accessible instruction for beginners who want to play electric or acoustic bass guitar - or both. Lessons are fun and easy-to-follow, teaching you what you need to know to start playing right away. You'll learn several great bass grooves, scales, rock style, syncopation, and much more. 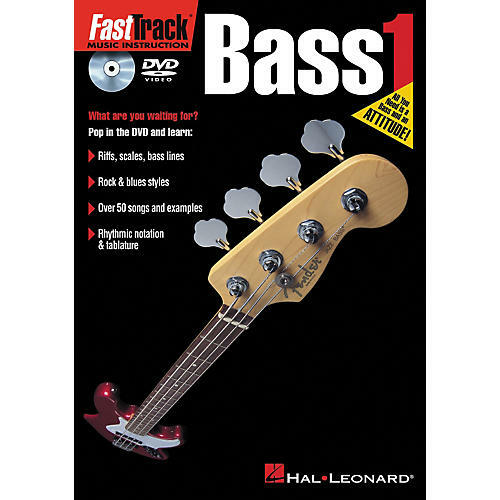 The FastTrack Bass DVD is filmed in high-definition and features on-screen music with tons of full-band examples. It's like having a private lesson that you can pause, fast-forward and rewind any time you want. Get the skills you need to do it right. Order yours today.